potentially nervous: the people have spoken! "i was photographing mr. dweezil zappa." I have such envy right now. :( Everything i have read about him says he's awesome. Yayyyyyyyy we missed you too!!! Does Bells have a dewlap? Dweezil Zappa. Only you, Alice. I guess you don't have PhotoShop? You can convert RAW files there. 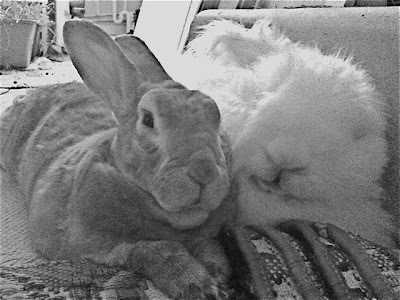 of course we miss having new bunny pics! Dweezil looks pretty nice, too. Does Dweezil have a dewlap? Glad I didn't have coffee in my mouth when I read that! LOLZ indeed, d.moll.